When it comes to discipline, the University of Lagos (unilag) is never behind, as latest information reaching our news desk just confirmed that the school management has made a huge decision, by expelling a total of One hundred and twenty five students, and rusticates One hundred and ninety eight (198) students. 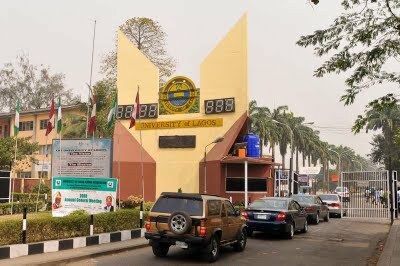 According to the information being shared to the Dailyschoolnews Management, the management of the University of Lagos decided to expelled 125 students and rusticated 198 others, after these students were found guilty of various misconducts, which includes examination malpractices during the last academic session, smoking band substances such as Marijuana in hall of residence, impersonation in examination halls and others, which is clearly against the school law. These students, before offered admission into the prestige University, were told the rules, and if broken, the consequences. According to the Deputy Registrar of Unilag, Toyin Adebule, who made this announcement publicly, decided to share the names and photos of the affected students, and so far, these identities have been published on the University of Lagos official website and will soon be published in the media alongside their photographs. These is to tell their parents, guardians and friends that they are no longer recognized and registered students of the University of Lagos (Unilag), so they should not be spending their money. Hope this sounds as a warning bell to all other students, who are still indulging in these acts. Please decease from it, before it becomes too late for you.